San Jose believes its citizens are its greatest asset. Located in the heart of Silicon Valley, San Jose is one of the wealthiest and most diverse communities in the US. However, many of the children and youth in low income and under privileged neighborhoods are not reaching their educational potential. One in three youth do not have a mentor and a role model in their lives. 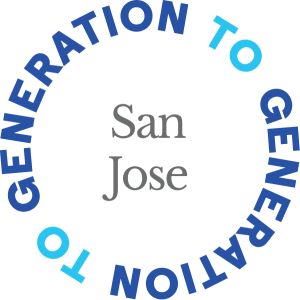 In San Jose we have a thriving population of adult’s 50 years and older who have a wealth of wisdom, experience, and compassion and who want to make a difference in kid’s lives and build stronger community. With Generation to Generation campaign, the city of San Jose seeks to set a new standard for community involvement, particularly among those 50 years and older — to engage these retiring residents in methods that help tackle the city’s toughest problems. The older generation will specifically help youth and children, promoting these services as a core part of what it means to be a citizen in the most innovative city in the world. The Mayor of San Jose, Sam Liccardo, is an advocate for advancing volunteer programs as an effective way to engage residents to improve San Jose and participate in addressing neighborhood issues. In partnership with the mayor’s office and through various City volunteer programs and youth serving organizations, Gen2Gen campaign will serve as a conduit for adults 50 years and older to connect and find youth serving opportunities, to unleash their spirit of service, empower their creativity and leverage their professional expertise. Opportunities abound — whether serving as a tutor in a public library, reading with a child, or helping to maintain a playground at a local park —you have many ways to connect. 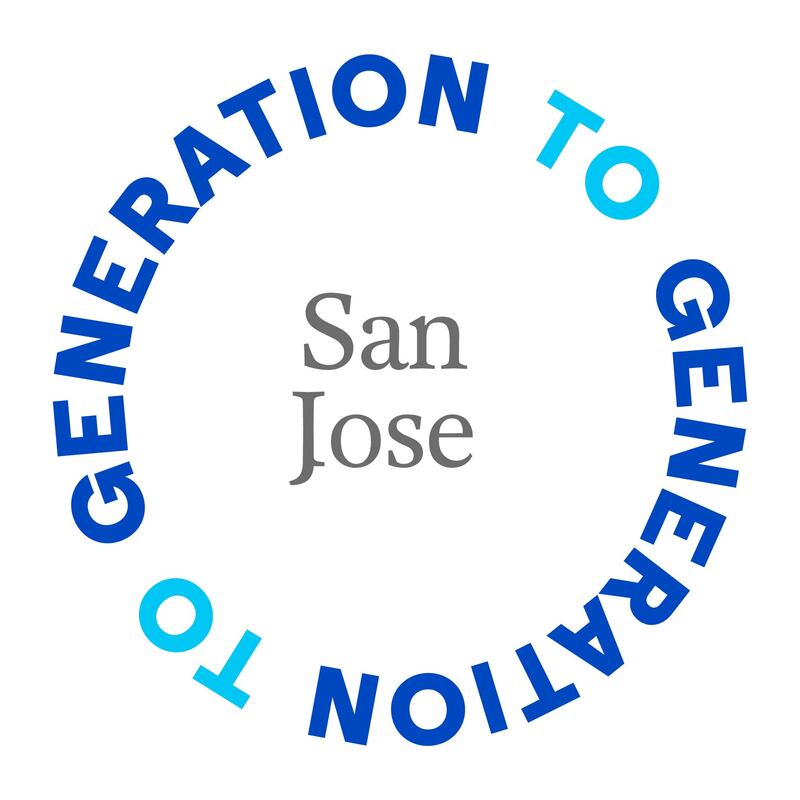 See a wide range of other opportunities to make a difference with San Jose youth. AARP is a nonprofit, nonpartisan organization, with approximately 3.3 million members in California and 160,000 members in Santa Clara County. AARP works to strengthen communities and promote the issues that matter most to families such as healthcare security, financial security and personal fulfillment, including intergenerational volunteering. To learn more about AARP in California, visit aarp.org/california or follow @aarpca on Twitter and @aarpcalifornia on Facebook. ALF is passionately committed to building diverse networks of leaders focused on personal and community transformation to create an inclusive and thriving Silicon Valley. The Bay Area Tutoring Association is a dynamic academic support and enrichment 501c(3) organization designed to complement our education system. We are a collective of educators, tutors, parents, students, community members, grass roots organizations and business leaders with a shared desire to invest in the future prosperity of the San Francisco Bay Area through the facilitation of student academic development, parent empowerment, and high quality extended learning program. 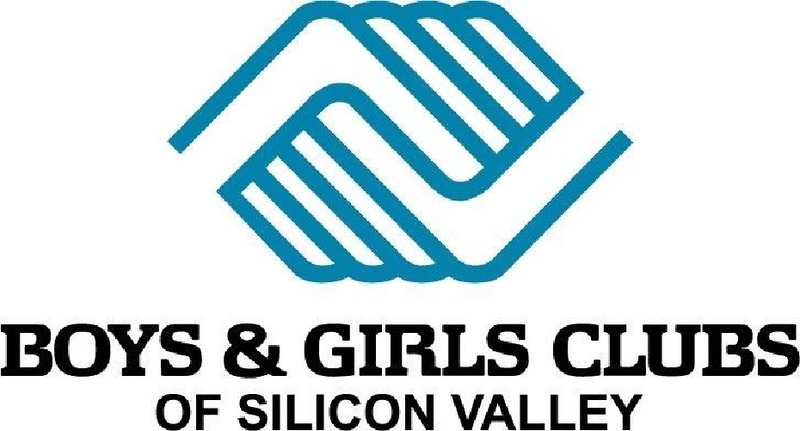 Boys & Girls Clubs of Silicon Valley’s mission is to inspire and empower all young people, especially those who need us most, to realize their full potential as productive, responsible and caring adults. Our vision is to provide a world-class Club Experience that assures all our youth possess the 21st century skills they need to be successful in school, a career and life—Critical Thinking, Creativity, Collaboration, Communication and Citizenship—so they become self-directed, lifelong learners and leaders. Citizen Schools equips young people with the skills, access, and beliefs they need to thrive as students and succeed as adults in the modern world. We envision a world in which schools, companies and families partner to provide students with a set of real world learning experiences that set them on a path to college and career success. Coaching Corps coaches are part of a national movement of thousands who are committed to increasing quality sports and mentorship opportunities for youth in underserved communities. You don’t need coaching experience – just a love of sports and a desire to make a difference in your community. Our premier training program will prepare you to bring your skills and enthusiasm to an afterschool program and to youth who are excited for your support. East Valley Family YMCA enriches kids, adults, families and communities through health, fitness and wellness programs, licensed child care, camps, family programs, swimming and aquatics, and other activities for people of all ages and abilities. At the Y, we help build a healthy spirit, mind and body for all with core values of caring, honesty, respect and responsibility at the heart of everything we do. FIRST 5 Santa Clara County, an organization that funds programs for children and their families, exists to ensure children are healthy and prepared for school. iMentor builds mentoring relationships that empowers first generation students from low income communities to graduate high school, succeed in college, and achieve their ambitions. By partnering with public schools and matching every 11th and 12th grade student in the school with a mentor, iMentor leverages the community to reimagine how public high schools support young people through the college process. 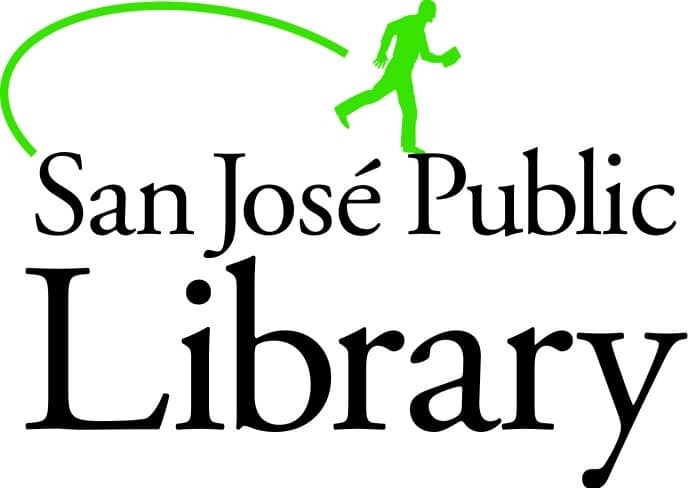 The City of San José Department of Parks, Recreation and Neighborhood Services (PRNS) has one of the most diverse service models of any agency of its type. The recreation, social services and outdoor spaces serve not only San Jose’s million plus residents, but individuals from surrounding cities and communities as well. Our vision is To be a National leader of Parks and Recreation in cultivating healthy communities through quality programs and dynamic public spaces. Our mission is to build healthy communities through people, parks and programs. Volunteering at the library is a great way to use your talents, provide valuable service to the community, learn new skills and meet great people. The mission of the Santa Maria Urban Ministry is to provide our community with a safe, welcoming place for basic services that meet short-term needs and to promote permanent, uplifting transformation for client families through education, service and targeted programs. The Health Trust is a nonprofit organization founded in 1996. We strive to build health equity in Silicon Valley by ensuring that health related grants, policies and services exist to support Silicon Valley’s most vulnerable communities. To learn more, please visit healthtrust.org. The Tech Museum’s mission is to inspire the innovator in everyone. It is a family-friendly interactive science and technology center located in the heart of downtown San Jose, California. It is a landmark for visitors seeking a glimpse of the most inventive place on earth- Silicon Valley. The tech is also a valued community resource for education and innovation, one that in 2015 was awarded the National Medal for Museum and Library Service, the highest honor a United States museum can achieve. 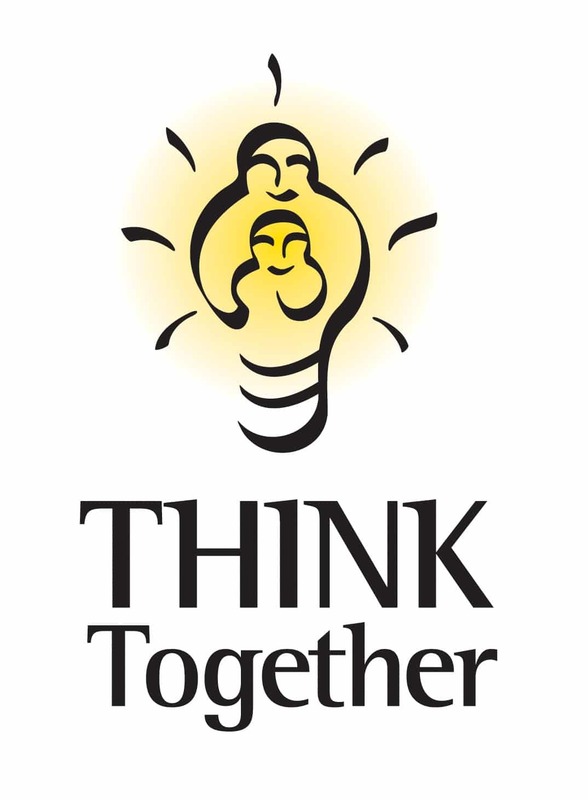 Think Together partners with schools to help low-income kids beat the odds. State’s largest nonprofit provider for extended learning time programs. Our staff work closely with school site staff, including principals, to ensure that all our kids are safe, prepared for college and career, and deliver high-quality programs to benefit students and help close the achievement gap.